At Specialized Property Management Fort Worth our team works hard to make sure your investment is a success. After years as a top real estate property management company, we specialize in keeping your property running smoothly and efficiently so you can maximize your cash flow. With the proven processes that we have developed over time, we know exactly how to avoid common, and uncommon, mistakes. These mistakes can lead to fines, costly repairs, and even evictions. Below we share with you the top mistakes landlords make, and what you can do to avoid them. One of the fastest ways to lose money in the rental property market is by having an extended vacancy. Not only are you losing out on the rent each month, but you are also still incurring expenses such as taxes and utility costs. Many things can factor into a leasing delay. For example, if your current tenant is still living in the house when a potential tenant is looking at the house, they are less likely to rent it. A lack of curb-appeal is a turn off for many applicants and could mean they decide to rent somewhere “prettier”. Failure to run background checks promptly or get leasing documents signed leads to even more delays. With processes in place and experts on the job, you won’t have to worry about any of these leasing delays or losing money. For more information about how we deal with vacancy days check out this post. Location, location, location! It may sound cheesy, but this saying holds a lot of truth. Before you even purchase a rental property, you need to select the right one. What amenities does your neighborhood have? Are there good schools and restaurants nearby? If you’re curious how a certain neighborhood stacks up, check out their walk score. You can see how the local schools are rated. Talking to neighborhood residents and property managers will also help you determine the quality of life in an area. Choose a home that has at least 1,500 square feet, three bedrooms, and a good layout. Finally, make sure you compare rentals around the area to find out average rent prices and time on the market. For even more tips on rental property selection read our blog post on the subject. Imagine going to a showing at a potential rental home and seeing broken light fixtures, trash in the yard, and the current tenant’s dirty socks on the floor. Even if the property manager promises repairs will be made and professionals will be called in to clean, the first impression has already been made. Before you put your rental home on the market, your current tenant must move out completely and you must perform any needed repairs. Landlords who skip these steps often end up with longer vacancies because they drive away potential tenants. Show your home only when it is looking its best. Touch up paint, fix anything broken, have professionals give the home a deep clean, and you will reap the benefits of patience. Read here to find out exactly how we work to make your property rent-ready. How do you know you are getting a reliable tenant? It all starts with strict tenant qualification standards. Some Fort Worth rental management companies decide to skip this step or only require a credit check. But even if a tenant’s credit is good, their income may not adequately cover the rent, they may have a criminal record, or they have a previous eviction. At Specialized Property Management Fort Worth we know that screening tenants thoroughly reduces your risk of late payments, property damage, and eviction, so we make it a priority. For more information about our strict tenant qualifications read here. As an experienced real estate property management company we know dealing with tenants can often be fraught with emotion. This is especially true when you are renting out a home you used to live in and still love. The truth is most tenants don’t take care of the home with the same level of care an owner would. The frustration, anger, and other feelings you have can easily damage your relationship with your tenant. If a tenant is has a bad experience, they are unlikely to renew their lease, leading to a high turnover rate. In the most extreme cases, negative interactions ensue and can lead to an eviction. To avoid negative tenant interactions, you must first take a step back. Make sure you are treating your investment as a business, realize most tenants don’t upkeep a home as a homeowner would, and be clear and consistent in every interaction. Many homeowners find a third party company like Specialized Property Management Fort Worth is very helpful in avoiding negative interactions. To learn more read this post. Rent collection processes often feel burdensome, particularly if you are not offering a convenient online payment option. According to a survey by Citigroup, the majority of Americans have paid a bill late. The top reason is not that they did not have the cash, it is simple forgetfulness. Set clear and firm expectations with your tenant when they sign the lease so they know what day to pay rent, when the rent is considered late, what fees will be applied to late payment, and when you will start the eviction process. To make paying rent easier, you should offer automatic online rent payment. Most Fort Worth rental management companies, like Specialized Property Management Fort Worth, offer automatic rent payment so your tenant is never late and your cash flow never slows. Read more about our rent collection process here. A real estate property management company has the experience, knowledge, and proven processes to navigate these regulations for you. To learn more about legal risks and how Specialized Property Management Fort Worth can help you avoid them read this post. Regular inspections and proactive maintenance are important for the long-term success of your rental property investment. Imagine this scenario: your tenant is half-way through their lease and ready for a mid-lease inspection. You know their AC needs a check up too. However, the inspection and maintenance will cost at least $250 and you decide to save that money and skip the work. A week later your tenant discovers a pipe has been slowly leaking for a few days, causing water damage in the bathroom. Then the AC stops working and the repair person states that the build-up from not cleaning the ducts has turned into an expensive problem. Now instead of $250, you are looking at $2500 in repairs. You see how a small upfront cost can turn into big savings down the road. For information about what to expect from a property inspection read this post. Local experts will guide you to the right property and price it appropriately. Experienced property managers handle tenant interactions for a lower turnover rate. Our team will help you avoid costly management mistakes. Fort Worth rental management companies are not all the same. Specialized Property Management Fort Worth has experienced property managers who can make your investment a success. For a free rental consultation call Specialized Property Management Fort Worth today. 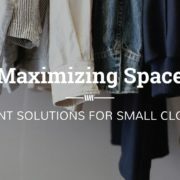 Small closets in your rental property can be a big issue for tenants and can even be a dealbreaker for some applicants. Renting a space without sufficient storage in the closets and other areas mean some tenants are forced to rent an off-site storage unit. Offsite storage units are expensive and inconvenient, and chances are potential tenants would rather rent a home that works for their needs. To make your property more desirable, Arlington property management companies can show you how to make the most of the closet space you have. There are ways to make your storage spaces seem bigger, without adding any square footage or closet systems. Check out these cosmetic fixes that give the illusion your tiny closet is much bigger. Mirrors – Adding a mirror to the door of your closet is like an optical illusion that will make your closet feel brighter and bigger. Lighting – If your closet space doesn’t have a light consider adding one. Inexpensive, small push lights are easy to add to any closet. Paint – Closets tend to be dark and cave-like. Make yours feel brighter and bigger by painting it white, or another light neutral color. Most Arlington property management companies can help you find trustworthy vendors for painting, hanging lights, and other odd-jobs around your rental home. Specialized Property Management Fort Worth can even schedule these updates, inspect the work, and upload pictures to your owner online portal. If your rental home’s closet has no shelves, rods, or other built-in storage, it is more of a tiny, pointless room. If that is the case in your rental home’s closets, we have solutions. These closet additions will make that tiny space more usable, and your tenants will be grateful for the help keeping their closets organized. Shelves: adding at least one shelf in a closet can make a big impact. Shelves can be especially helpful in tall closets as they turn the top of the closet from wasted space into working storage. Rods: bedroom closets without a rod to hang clothes can be especially frustrating to tenants. Rods are inexpensive and available at most home improvement stores and online retailers. Hooks: add hooks to closet doors, bathroom cabinets, and other small spaces to give your tenant a little boost of usability. Hats, scarves, belts, and other accessories can be put on these hooks freeing up space inside the closet. Built-ins: if you want to put a little more money into the project consider adding built-in shelves, rods, and drawers to a closet. These types of built-in closets mean your tenant doesn’t have to provide their own, which can be a big draw for some. For Current Property Owners – If you think small closet space is holding your rental back from attracting quality tenants, you may want to do a small remodel. An experienced property management company will help you figure out all the details of remodeling to increase storage space. From choosing the right layout to picking top-quality vendors, your property manager is here for you. For Future Property Owners – If you’re still looking for the perfect investment property the local experts at Specialized Property Management Fort Worth can help. We know closet size is a big issue for tenants in some areas, and we can advise you on what else to look for to make a good investment. An experienced property manager is a valuable asset for every rental property owner. Property managers have knowledge that comes from years devoted to making sure rental homes are rented out quickly, and the tenants are happy. If you’re not sure how to make an awkward living space appealing to potential tenants, think about calling a local property management company for help. Inspecting – Regular property inspections will save you money by pointing out potential issues with your property or your tenants. Maintenance – Regular home maintenance is important but can be a hassle to an overworked landlord. Leave it to the professionals at Specialized Property Management Fort Worth, and your home will shine! Showings – Whether in person or virtually, our showings will highlight the best things about your property and make it stand out from the competition. But we offer so much more! Our property managers take care of the whole rental process and are there for you and your tenants 24/7. To find out more and schedule a free rental consultation call our offices today. 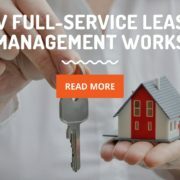 What exactly does a full-service leasing management company do for you? Below you can explore what Specialized Property Management Fort Worth does during the rental cycle to reduce vacancy days and save you money. Your property manager will inspect the property ensuring it is “rent-ready” before potential tenants see it. This is the first step we take to make your property stands out from the competition. We will make recommendations for any property maintenance or upgrades that will reduce vacancy days and increase cash flow. A mid-lease inspection is also performed to ensure lease compliance and property upkeep. See our blog on inspections to learn more. Our leasing management team will post signage in your yard, advertise on dozens of websites, and create video walkthroughs for our youtube channel. Aggressive online marketing is important as people spend more and more time searching for rental homes online. The more exposure your property gets, the more likely it is to rent quickly. Visit our youtube channel to see examples of video walkthroughs. Along with high-quality video walkthroughs our property managers arrange live showings for potential tenants. These showings can make a huge difference for applicants on the fence about which property they want to rent. Our property managers show off the best your property has to offer while demonstrating the professionalism tenants should expect from a property manager. One of the most important steps in the rental cycle is screening your applicants because it will protect you against evictions. Your tenant must have solid employment and a clean criminal and rental history. Finding a reliable tenant will reduce turnover, maintenance costs, and evictions. A well-qualified tenant is worth waiting for, so don’t settle for anything less. For more information on our tenant screening process read here. Lease signing involves much more than the physical signing of papers. For property owners or managers, it means preparing and executing the leasing documents in accordance with the leases and addenda promulgated by the Texas Association of Realtors. Our professional leasing management team will prepare these documents promptly so your new tenants can move in quickly. We will also provide your new tenant with formal training on how to take care of the property, what their responsibilities are, and who to call in case of emergency. Your tenant’s lease will clearly communicate our rent collection process, so there is no confusion. Our process helps avoid late payments, and we offer an online portal to give tenants an easy and quick way to pay. We deposit rent funds into your account electronically for prompt payment. To learn more about rent collection and other financial services we offer, read this post. Periodic preventative maintenance is a must for any rental home to ensure your tenants are happy and your home is well cared for. When your property’s systems are maintained properly, they will perform well in the years to come. Our team is also available 24/7 for any maintenance emergencies. Repair requests are always handled in a timely manner by qualified, licensed professionals. For more information on maintaining your rental home read this post. Tenant turnover is costly, even if vacancy days are kept to a minimum. Re-keying the property, deep cleaning, shampooing carpets, inspections, and marketing are all necessary expenses incurred by tenants. Our team works hard to renew each tenant’s lease by being proactive and professional in our efforts. Our excellent customer service and tenant perks reduce turnover and keep your tenants happy. Of course, tenants do move on, and when that happens, we are here to make sure the process runs smoothly. Our team processes notices and answers any questions the tenant may have about the transition. After move out, we walk through the unit to inspect the property, taking note of any work that needs to be done, and managing deposit disbursements. Most real estate management companies will give their clients occasional maintenance reports and year-end tax statements. Our team goes beyond that with detailed accounting, activity reports, maintenance reports, and statements available 24/7 through our online owner portal. During the leasing process, we also provide weekly updates to owners. Our team goes the extra mile to make sure you are informed every step of the way. Reduce vacancy days through proper inspecting, marketing, and showings. Place and keep reliable tenants in your home by screening, signing, moving, and renewing. Take care of the day-to-day details of collecting and maintaining. Give property owners peace of mind with excellent reporting and our 24/7 online portal. To schedule your free rental consultation call Specialized Property Management Fort Worth today. The Millennial generation is in the news every other day. This generation has been accused of ruining things from the 9-5 workday to bars of soap (according to a list compiled by Marketwatch). While millennials may not be ruining everyone lives, it is true that times are changing and the millennial generation is leading the pack. How should the rental housing market respond? 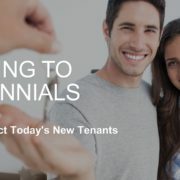 Below, we discuss who millennials are, what they want, and how a Fort Worth property manager can help you attract millennial tenants. To start with, who are we talking about when we talk about millennials? Young(ish): The Pew Research Center defines millennials as “those born after 1980 and the first generation to come of age in the new millennium.” Generally speaking, as of 2018 millennials are 18-38 year olds. Tech-savvy: This group has seen rapid advancement in technology, and is the first to come of age in a world with access to the internet and cell phones. Many work in tech industries, and it is hard to imagine any millennials without a smartphone in hand. Large: In 2016 millennials overtook baby boomers to become the largest living generation. Pew also reports millennials make up the largest age group of renters at about 18.4 million. As such, it is important that rental property managers stay up to date with why millennials are renting and what they are looking for in rental homes. As mentioned above the millennial generation is often blamed for “ruining” industries, which is in part because they have different values than the generations before them. Millennials tend to value freedom and experiences over stability and material things. In the housing market that translates into behaviors such as picking up and moving suddenly for a job and using their savings for travel instead of a down payment on a house. Also, the average debt of this generation is in the tens of thousands, making home ownership seem like a far-off dream to many. What Do Millennials Want in a Rental Home? For millennials who don’t want or are unable to buy a home, renting a single family home is the next best thing. As this generation enters their 30s, they are more likely to start a family and search for a home that is family friendly to settle down in, even if it is only for a few years until their next move. This generation also likes to have fun, so being close to amenities and transportation is especially important. Lastly, the Washington Post reports that a majority of people in their 30s own pets, meaning that they will be looking for a rental home that allows pets. Now that you know a little bit about millennials, how can you go about attracting them to your rental property? With so many millennials renting, you may think attracting them is simple. However, as mentioned above, millennials have different values than previous generations. Here are a few ways an experienced Fort Worth residential property management company can help you attract millennials. Use technology to your advantage in marketing. Millennials search for rental houses online. If you don’t have an online presence, it is doubtful they will ever find your property for rent. A property management company can list your house on several websites and even create a video walk-through so potential renters can view the house virtually. Consider your lease terms. With many millennials desiring a “no-strings-attached” type of lifestyle, consider lease terms that will not hinder this. If you’re having trouble finding tenants for a long-term (more than one year) lease, consider offering a shorter one, possibly even a month-to-month arrangement. Your Fort Worth property manager can help you draw up a lease that will be appealing to these shorter-term renters. Update your home with smart technology. If you have to make updates, consider going with the “smart” version of these updates. A smart thermostat, for example, will let your renter control the temperature remotely from their smartphone. These smart updates have the bonus of lower energy costs, and may even give you a tax-deduction (always check with your tax advisor about this perk before buying). Online Property Listings: your property will be listed on multiple websites to ensure full exposure to renters. Owner and Tenant Portals: you will be able to view reports and pictures from your property at any time. Your renter will be able to pay rent and submit maintenance tickets with the same ease. 24-Hour Support: when your renter has an emergency they call us, at any time of the day or night. Advice from Experts: our property managers not only have years of experience with what works in property management, but they also stay up-to-date with what works now, for millennial tenants and every other generation too. Why not put that expertise to good use and make the most out of your rental investment? 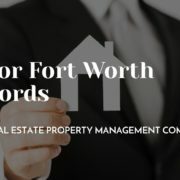 To start working with a professional, experienced Fort Worth property manager today call Specialized Property Management Fort Worth. It is every property owner’s nightmare call: your property has caught fire. Whether caused by accident, or due to negligence, a house fire is devastating to everyone involved. What can you do for yourself and your tenants to ensure your fireplace and other areas around your rental property are protected against house fires? Below we explore how to reduce your risk of a house fire. Let’s face it, Fort Worth doesn’t get too cold in the winter. You may use your home’s fireplace 2-3 times per year. When you don’t use a fireplace regularly, you may think it’s not a big deal if you don’t clean it regularly either. However, your chimney still needs to be cleaned to prevent a chimney fire. The residue that covers the inside of your chimney is called creosote, and it can start to build up after just one fire. According to the Chimney Safety Institute of America “All forms [of creosote] are highly combustible. If it builds up in sufficient quantities – and the internal flue temperature is high enough – the result could be a chimney fire.” To make sure your fireplace doesn’t collect this creosote and catch fire, the Chimney Safety Institute of America and your property management in Fort Worth, recommend a regular chimney inspection. Without a proper inspection from a professional, you are putting your property and your tenants’ lives at risk. 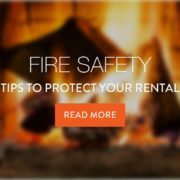 That is why the experts in residential property management Fort Worth recommend your rental home fireplace get an inspection at least once every year. A licensed and certified chimney sweep can perform the inspection as well as routine maintenance and any needed repairs. If, for some reason, you are unable to schedule an inspection before the first cold spell, you need to communicate to your tenants that they should hold off on using the fireplace until after the inspection. If you want to learn more about chimney fires, chimney safety, or how to find a certified chimney sweep, visit the Chimney Safety Insitute of America. Smoke Alarms and Carbon Monoxide Alarms: these save lives. Make sure they stay attached, and the batteries are working. Fire Extinguishers: always have at least one fire extinguisher in your rental home, more if the home is large. Electrical Safety: make sure all the electrical outlets are up to code, and you have GFCI outlets installed where they are needed. Always hire a licensed electrician to resolve electrical issues. Properly Functioning Doors and Windows: if a door or window to the outside won’t open your tenant could be stuck if there is a fire. Make sure all doors and windows open easily, especially if they aren’t used frequently. Inspect and Clean Dryer Vent: when your dryer vent is not cleaned regularly, it can store up lint which can easily catch fire. A certified technician can inspect your dryer, clean out lint, and extend the life of your dryer. Owning rental property is a delicate balance of spending enough money to keep your home nice and your tenants happy, but not too much so you have negative cash flow. Many landlords aren’t sure where to cut corners, and often skip fire safety to save money. However, if you compare the low costs of regular inspections and once a year fireplace sweeps to the high cost of your investment burning to the ground, inspections are more than worth it. Property management in Fort Worth is easier and more successful when you hire professional property managers. A Fort Worth property manager has years of experience you can use to your advantage, including trusted vendors who can take care of any fire safety issues at your property. An experienced property manager will help you cut back on expenses without making costly, and sometimes life-threatening, mistakes. Specialized Property Management Fort Worth has proven processes in place when it comes to leasing, inspections, maintenance, and more. 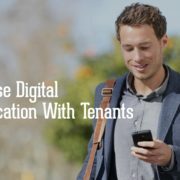 These processes are designed to decrease vacancy days, reduce tenant turnover, and keep your home in great shape. With our residential property management, Fort Worth landlords can cut costs without neglecting the things that matter to their rental property. For more information or to schedule your free rental consultation, call Specialized Property Management Fort Worth today.